He was born in Glasgow, Scotland and like, apparently like most of our rock stars (Bon, Thorpey, Farnham, JPY etc etc) arrived in Australia for a tenner . 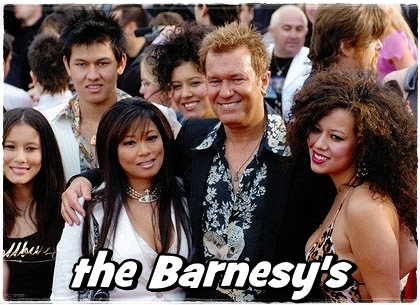 Barnesy launched his own career less than a month after Cold Chisel's Last Stand tour came to an end. He assembled a band that included Arnott, former Fraternity bass player Bruce Howe and guitarists Mal Eastick (ex-Stars) and Chris Stockley (ex-The Dingoes) and began touring and writing for a solo album. Signing to Mushroom Records, Barnes released his first solo album Bodyswerve. 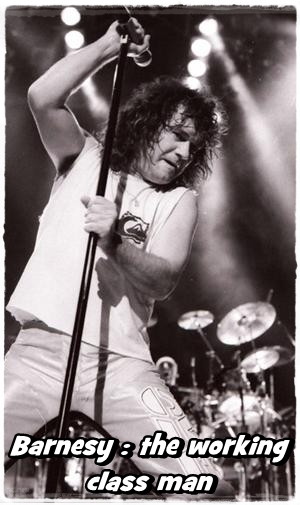 He was now billing himself as Jimmy Barnes, instead of merely 'Jim Barnes' as he had been credited during his Cold Chisel days. The album was immediately successful, entering the Australian charts at Number One on 8 October. 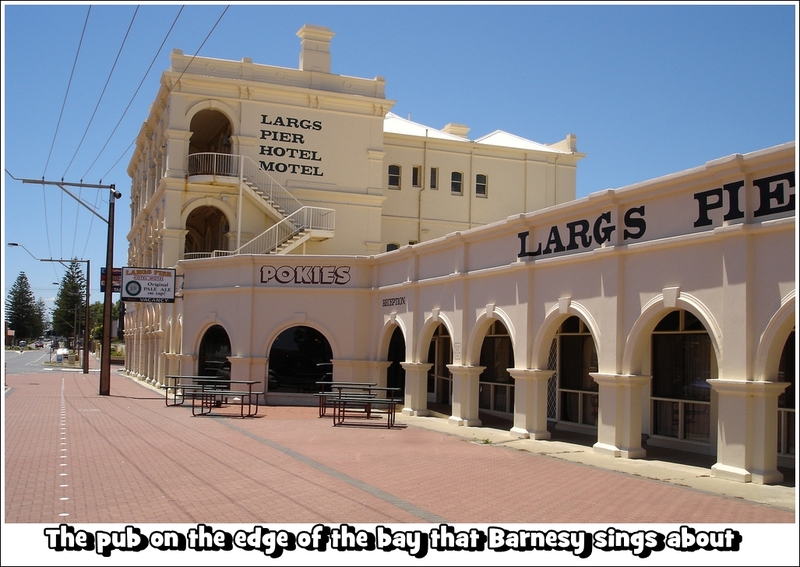 This was the first of a remarkable run of top charting albums for Barnes, as each of his first six solo albums all debuted in the Number One position, a feat that no other Australian musical artist is likely to match. His list of Number One albums now totals eleven, including three Cold Chisel albums. His total of nine No. 1 albums as a solo performer is matched by no other Australian recording artist. The final Cold Chisel studio album 20th Century and the live album Barking Spiders Live were also released in 1984. 20th Century peaked at No. 1 on 23 April. Barnes signed to Atlantic for worldwide release in mid-1990 and immediately headed into the studio with producer Don Gehman to record Two Fires. The album featured songwriting contributions from the likes of Desmond Child, Diane Warren and Holly Knight, whose track became the title of his record and vocal contributions from Brian Setzer, and from his wife and children. Collectively known as the Tin Lids (after Glaswegian rhyming-slang for "kids"), the four Barnes children later recorded three albums of their own. Two Fires combined live drums with synthesised drum machines and contained the hits "Lay Down Your Guns", "Make it Last All Night", "When Your Love is Gone" and "Little Darling". It had a slight funk influence and an even more polished sound than his previous albums but this proved no barrier to it becoming his fifth consecutive Australian No. 1 album. In the mid-1990s, Jimmy's' career suffered a slump. The singer faced financial ruin as his music publishing company Dirty Sheet Music and his wife's children's fashion label both went broke. He was pursued by both the ANZ Bank and the Australian Taxation Office for amounts exceeding $1.3 million. The family sold their property in Bowral, New South Wales and settled for some time in Aix-en-Provence, France, attracting some adverse publicity when he assaulted a television crew from Channel 7( who were more than likely sneaking over the fence). 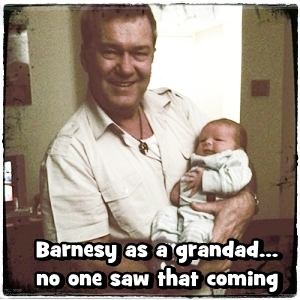 While there, Barnes did considerable live work throughout Britain and toured with the Rolling Stones. 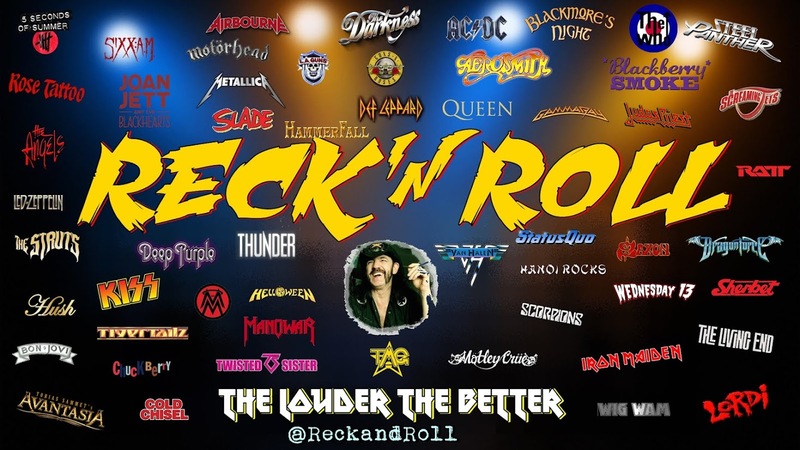 n 2004, Barnes recorded an album with Deep Purple guitarist Steve Morse, Uriah Heep drummer Lee Kerslake, bass player Bob Daisley and keyboard player Don Airey under the name Living Loud. The self-titled album featured a number of songs originally written and recorded with Ozzy Osbourne by Kerslake, Daisley and Airey. Barnes released Rage and Ruin on 27 August 2010, his first album of original material since 2007. He has stated that the ideas for most of the lyrics and song themes came from a journal he kept during a period in his life (late 1990s to early 2000s) when he struggled with drug and alcohol addiction. Two singles have been released from the album: "Before the Devil Knows You're Dead" and "God or Money". The album debuted at number 3 on the ARIA Albums Chart on 5 September 2010.